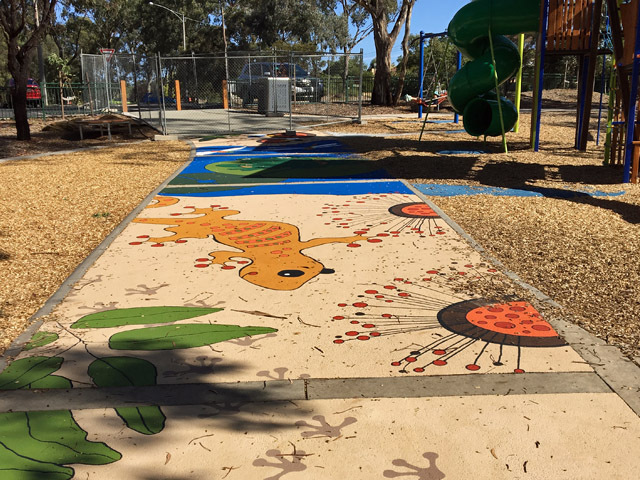 MPS Paving has recently completed this amazing StreetBond™ artwork in Bendigo, Victoria. 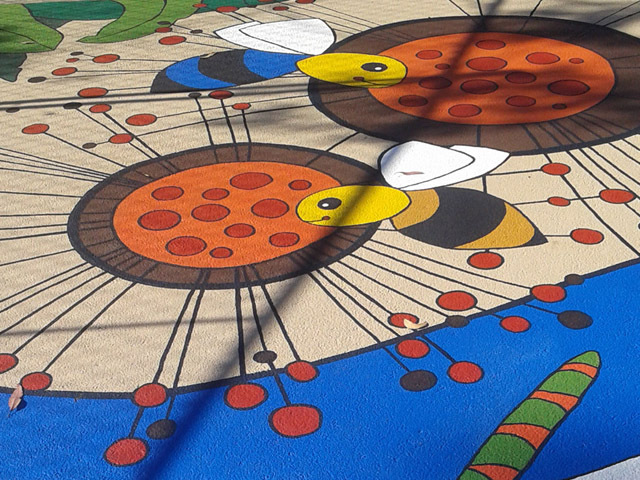 The artwork was designed by Jacqui Lynch and transferred to the surface using anti-slip paint for added safety. 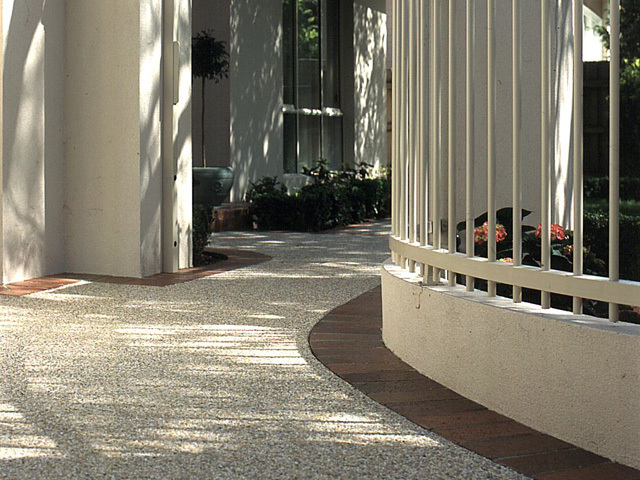 The MPS Paving StreetBond™ range can really rejuvenate the surfaces to which they are applied. 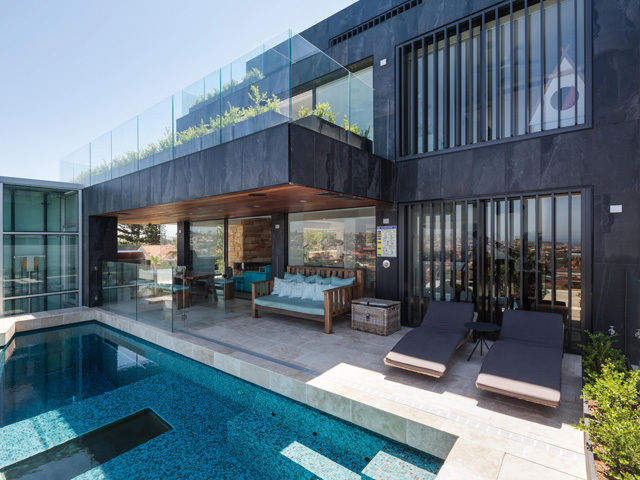 This colourful textured coating can make virtually any surface look unique and stylish. 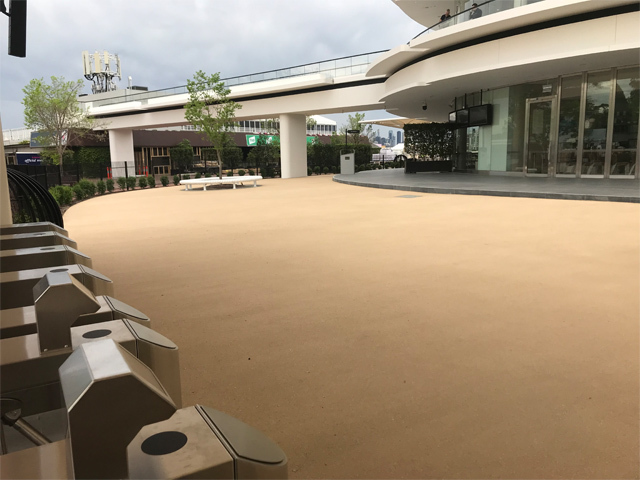 StreetBond™ textured coating and paving paint is a practical solution to bring softness and colour to otherwise hard-formed surfaces and structures. 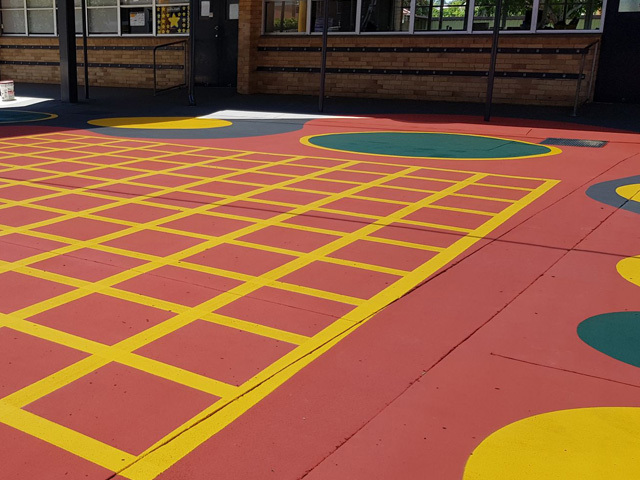 Since the product is anti-slip paint you can safely apply it to many flooring surfaces and create colourful and safe surfaces. 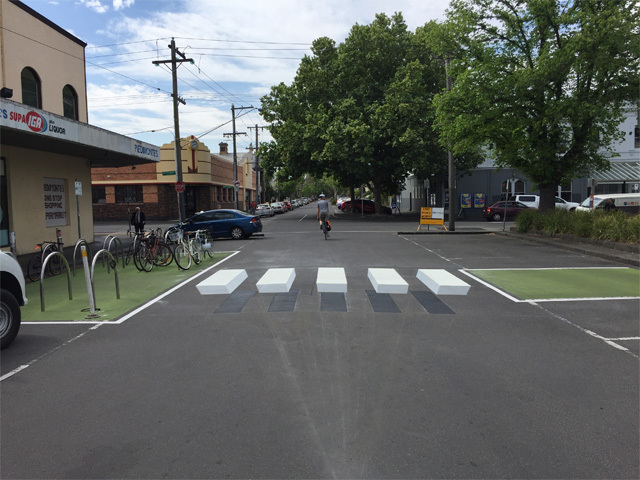 This is especially important in commercial set ups and businesses where it is important to reduce any slip hazards in areas with high foot traffic. StreetBond™ will gives specifiers peace of mind by increasing the slip resistance of flooring surfaces. 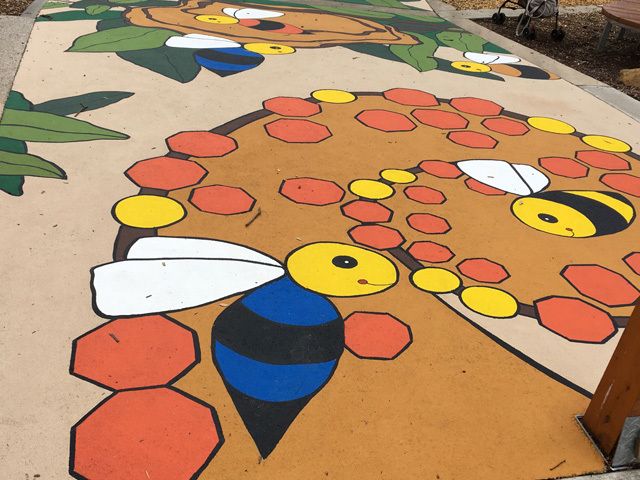 An added benefit to using StreetBond™ is that the product combines polymer and cement technologies, meaning surfaces with StreetBond™ colouring and artwork achieve added durability and an extension of the life-time for surfaces if proper maintenance and preparation is carried out. 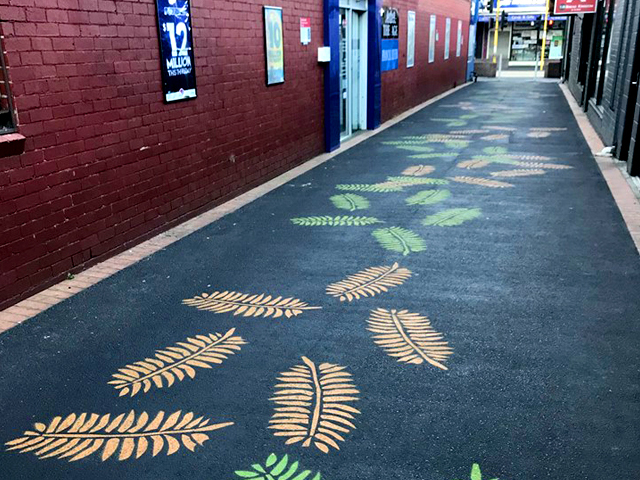 Application of StreetBond™ is suited to both concrete and asphalt surfaces and is easily applied in a range of custom colours and designs. To find out more about MPS Paving Systems surfacing products and services contact the team on one of the below channels today.